A large free hung drawing. 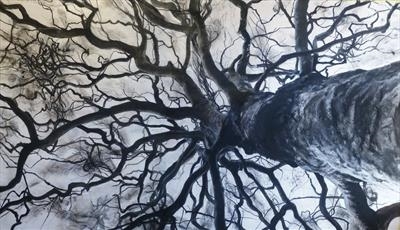 A large drawing that I worked on for a considerable time using many charcoals - hand-made (some from this tree) and commercial, natural and compressed, white and black - as well as conte, pastel and acrylic. Final finishing I used a sponge and water and then cut into the item. The drawing will be free-hung on batten and bulldog clips.